In 1997, more than 3.2 million abused children were reported to protective service agencies in the United States. 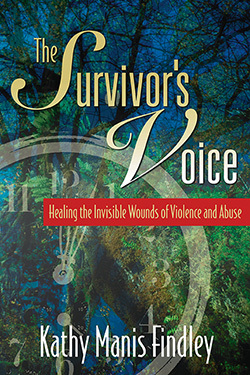 In these pages are the intimate voices of survivors of the anguish of domestic violence and sexual abuse in the home — the place that should be a haven of safety. There are also the voices that cry out from the pages of the Bible, giving witness to violence through the ages. Finally, there is the story of the author’s own torment and horror-filled years and her healing road from victim to survivor through her faith in God and the will to live again. Kathy Manis Findley is a pastor and chaplain associate in Little Rock, Arkansas. She is a graduate of Southern Seminary and the University of Alabama.